15 Rudolf is the newest gem on the market, complete with in-law apartment (or legal accessory apartment), and many updates to the exterior and interior! Rudolf Lane is a quaint and quiet street. As you enter the street, history abounds, with the home that Babe Ruth used to vacation in many years ago right on the corner of the street. The end of the cul-de-sac is where you will journey right to 15 Rudolf, set back and private. Going down the driveway, the mature plantings and many exterior updates greet you, including an expanded driveway that leads to your 2 car garage. The grass is bright green and well-maintained, just like everything else outside. The front door, also brand new, allows you to enter the foyer (also a new floor), and into this bright colonial-style home. The main living area features a living room, dining room, and den all with hardwood floors, that center around the staircase and the kitchen. Each room has some charm, with a fireplace in the den, a chair rail in the formal dining room, and crown moulding in the living room. 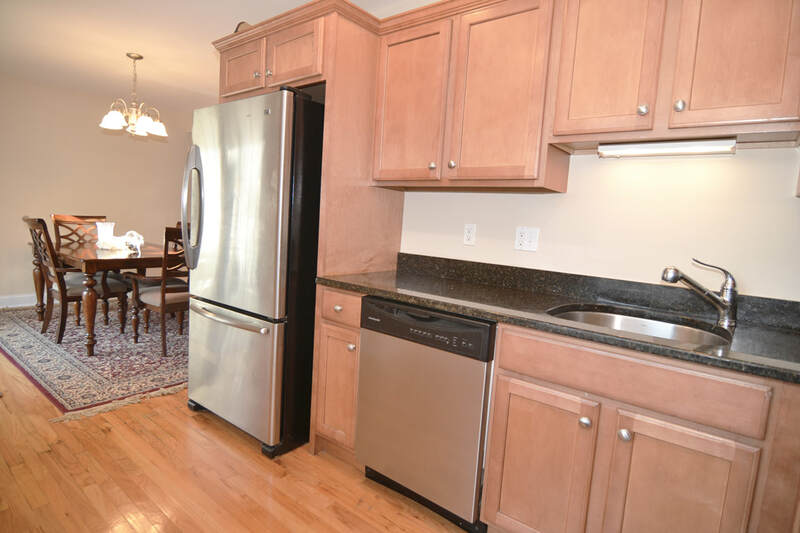 The kitchen has many updates including new floor, new granite counters, newer appliances, and much more. This space is naturally bright since it connects the rest of the rooms of the home, but recessed lighting assists in making it bright. Purchase an island for the middle of the space, and you can increase the amount of usable counter space in this eat-in-kitchen greatly! There is a cut-out into the best room of the house--the sun room. This room, accessed through the hallway of the den, has the laundry and half bath in the space before you enter. Calling this a sun room does it no justice -- more appropriately would be the 'great room'. 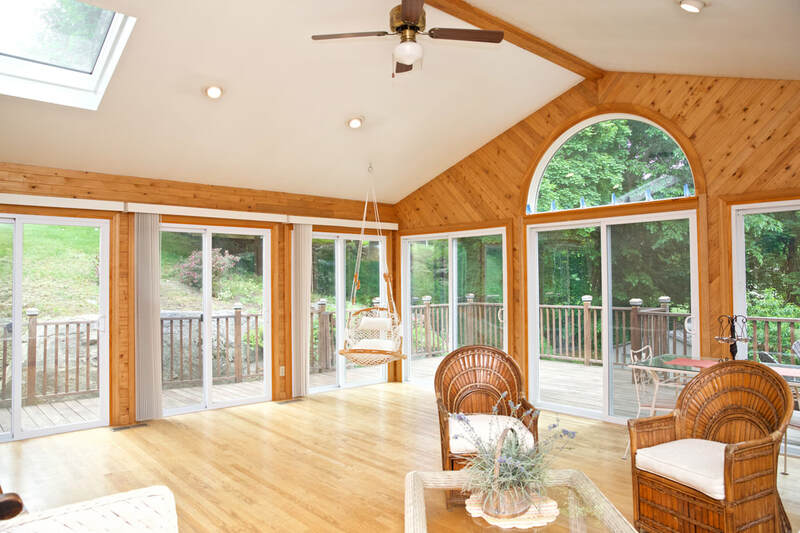 This space has cathedral ceilings, hardwood floors, skylights, a ceiling fan, palladium windows, recessed lights and several sliders that lead to a wrap-around deck. The deck overlooks the back yard, and the privacy of the woods. There aren't enough words to describe how comfy and great this room really is. 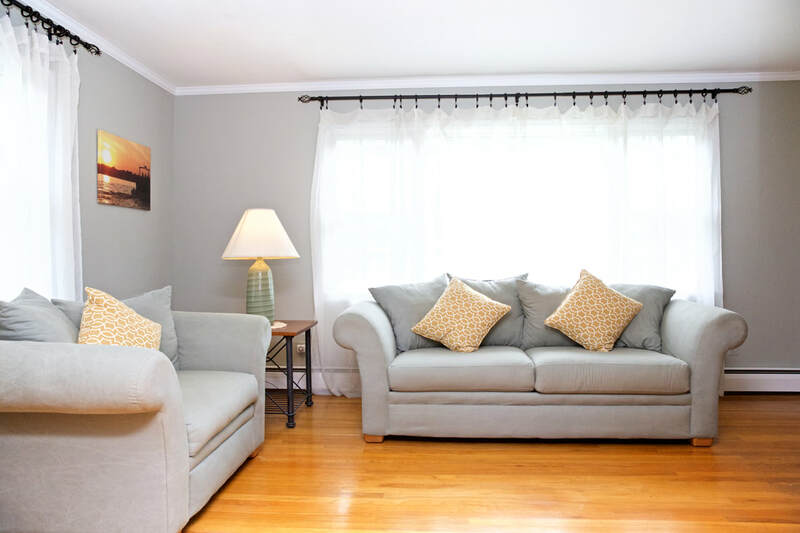 You can arrange it like a living room, or as an outdoor space - in either case, this room is fully heated and air conditioned with the rest of the home. The upstairs of this home features 4 bedrooms, including the master bedroom, and 2 full bathrooms. There is attic access, and plenty of storage up here. 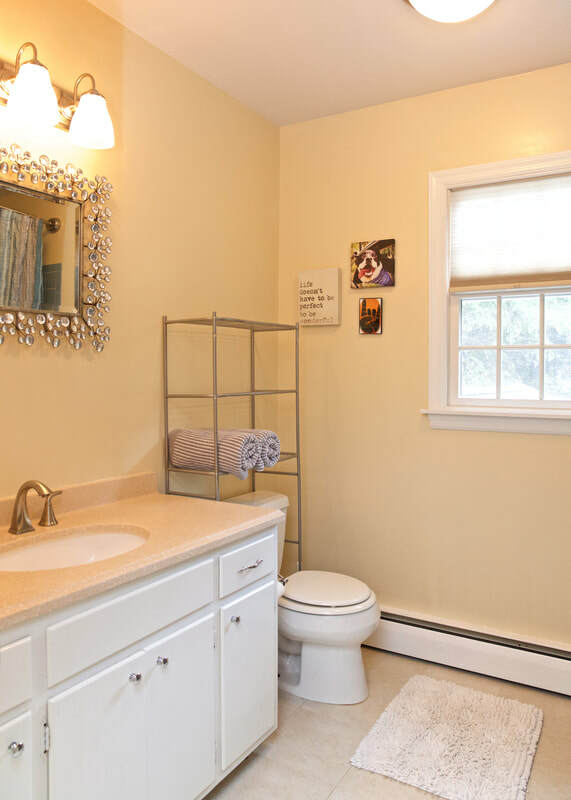 Both full baths have updates, making them move-in ready for today's buyer. 3/4 of the bedrooms have hardwood floors, and all are spacious. There are too many positive features to this home to discuss, but the real star in this story is the legal accessory apartment. With the City of Norwalk making homeowners jump through many hurdles for a legal accessory apartment, 15 Rudolf has it! This 1 bedroom space is in good condition, and has interior access through the garage. It has a large bedroom, and big living room and an exposed kitchen. The full bath has a door to the living room and the bedroom. There is also a slider door out to the patio and back yard. This space is on ground level, so it could be a perfect in-law suite, because of it's accessibility and lack of any stairs. There is an absence of great inventory currently on the market, and 15 Rudolf fills a gap. With so many great updates, a future buyer can move right in. The home features 4 beds, 2.5 baths and a Great Room that the name of it describes, and there is an accessory apartment that can likely generate $1300-$1500 of income per month. It's the perfect package!